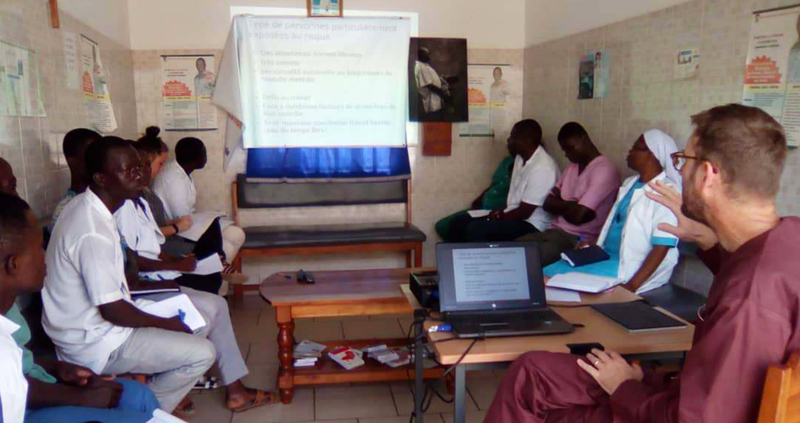 Recently the mental health personnel of the Paul-Louis Renée Center had the opportunity of undergoing several staff trainings overseen by Dr. Julian Eaton, British psychiatrist and Senior Mental Health Advisor for CBM. 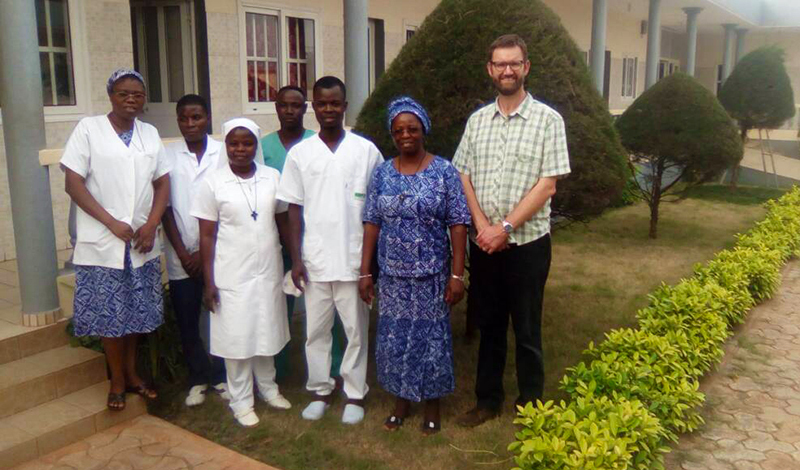 Dr. Eaton was based in Lomé for several years and had the opportunity to meet the center’s personnel regularly and to develop an understanding of how the center works. As we have documented in the past, it is common for mental health staff in Africa to have little training, leading to aggressive and violent physical restraint. Such episodes, sometimes resulting in physical injury, only add to the patient’s already traumatic experience and severely damages the therapeutic relationship. During the trainings, Dr. Eaton focused on the rights of patients to decide their own treatment based on the principles of international human rights conventions like the Convention on the Rights of Persons with Disabilities. Participants went through a step-by-step management process for challenging and aggressive behavior, emphasizing a gradual approach aimed at avoiding and reducing violence. Sessions on stress management provided all staff with guidance on how to look after their own mental health and with the skills necessary to manage patients with acute stress reactions, anxiety, and PTSD. The workshops were very much appreciated by everyone at the Paul-Louis Renée Center. We are confident that director Sister Marie Viviane will make sure the newly acquired tools are implemented to further improve the quality of mental health care patients receive.